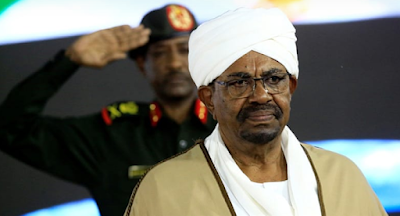 Sudan's military has overthrow and arrested President Omar al-Bashir after months of protests against his nearly 30-year rule, according to the country's defence minister. In a statement on Thursday, General Awad Ibnouf said Bashir was taken to a "safe place" after the "toppling of the regime" and also announced the formation of a military-led transitional government, which will rule for two years. "The armed forces will take power with representation of the people to pave the waly for Sudanese people to live in dignity," Ibnouf said. The defence minister also declared a three-month state of emergency, a nationwide ceasefire and the suspension of the 2005 constitution. All of Sudan's government's institutions, including the national assembly and national council of ministers, have been dissolved, Ibnouf added, assuring that Sudan would soon prepare for "free and fair" elections.